Now that school is back in full swing all over the country, I wonder how many young girls are going to have to face bullies this semester. Remember them? The ones that made fun of what you were wearing, who you were hanging with and what you were doing? Turns out, as we get older, the mean girl that we need to watch out for is actually the one living in our own head. You heard it before; women are their own worst critics. According to Christine Arylo and Amy Ahlers, founders of the Inner Mean Girl Reform School, there are 17 types of Inner Mean Girls. From ‘Negative Nelly’ to ‘Mean Patty’, women’s self criticism can wreak havoc on their mental health. Take for example the constant complaint that women are overwhelmed. Ahlers points out that this is a ‘Big Fat Lie that Women Tell Themselves’ and that they are actually underwhelmed and have lost their passion. Is it true? Are all these super busy women really just underwhelmed with their lives? From our experience, the answer is often a combination of being underwhelmed and over-extended (another mean girl trait) and they feel the need to communicate how much is on their plate so that they will get credit/empathy for all that they do. This is what we call the Martyrdom Whole Truth and while women can get caught up in it, they can also lead marketers to believe that they are super-stressed and don’t have time for brands and messaging. While Ahlers and Arylo are helping women tame the inner mean girls through their reform school program, marketers can learn to market to (or around) them. And that’s like getting two customers in one! Tracy Chapman, founder and principal at Just Ask a Woman, says most shoppers do not obsess over negative media coverage of safety, animal-welfare or environmental issues related to beef. They generally trust assurances such as USDA inspection labels, and believe the beef industry has done a good job of addressing some of the physical defects in beef that were a problem earlier. They have questions, rather than concerns. However, she says people hear about efforts such as “Meatless Mondays” and begin to question whether beef might be bad for their health or for the environment. Animal welfare also is high on the list, Chapman says. Moms want to know that food animals are treated humanely. They’re interested in health and food safety but they also wonder whether or not products labeled as natural, organic or grass-finished are actually better and worth the higher price. Mostly, she says, moms want quality and value in the food they buy. They don’t want “cheap beef”; they want to feel they receive a good value, for their budget, without compromising on quality. To read the entire article at Drovers Cattle Network, CLICK HERE. 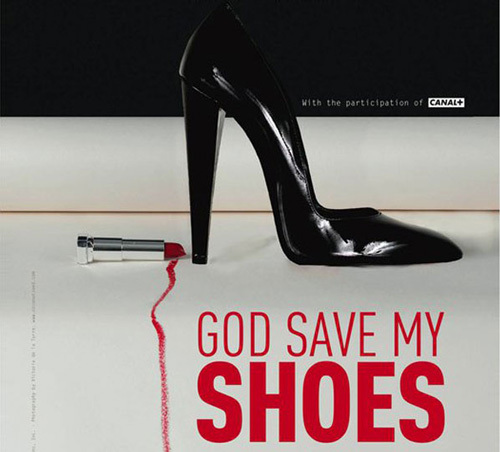 We are very excited to attend tonight’s screening of God Save My Shoes. A while back Mary Lou was interviewed as an expert on why women are drawn to shoes and how marketing contributes to the love affair. The clips we’ve seen are great and feature the shoe greats like Christian Louboutin, Manolo Blahnik and Walter Steiger along with celebs like Fergie, Kelly Rowland and Dita Von Teese. We will post reviews when they are available. And yes, of course, we are all wearing fabulous shoes to the premiere. Plastic straws in cocktails are out! Who knew? Pick up the September issue of People StyleWatch to see Jen’s input on what’s trending this fall. I didn’t make it to BlogHer11 this year, but watched it very closely (some would say compulsively) from afar. I tried to read between the lines of Tweets and Facebook updates to see what was working and what wasn’t. After reading the recaps from bloggers I admire like @Redneckmommy and @Mom101 I’m glad to say that this year seemed to have gotten back to its roots. Way less talk of swag frenzy and the VIP competition that plagued last year in New York and more conversation about learning, support and inspiration. Some of it may have had to do with the awesome and laid back San Diego location – attendees just seemed less frenetic to see everything and do everything. I made my beef with last year’s conference public in an op-ed for Adweek. My criticism was not with the hard working, well intentioned organizers of the conference but with the marketers who delegated away the task of interacting with bloggers, who stole attendees for off premise VIP events that fed into a divisive hierarchy that can emerge among bloggers and of swamping the joint with swag that had little meaning or measurable ROI. Adweek reported on the conference this week and while I’m disappointed that “this time, there were at least a couple of brand managers and executives on the floor” I am glad to see that the conference felt rewarding to both bloggers and sponsors. Right on the heels of L’Oreal pulling their latest round of ads depicting Julia Roberts and Christy Turlington from the UK after accusations of over-airbrushing, CNN set out to determine what level of truth women expect from beauty advertisements… or whether they expect truth at all. To help them get to the bottom of it, they consulted none other than Just Ask a Woman’s Founder and CEO, Mary Lou Quinlan, who assured them every step in advertising is a deliberate one. I didn’t mean to shill for the entire beauty industry but someone had to tell the whole truth about beauty ads. While the over the top promises and pictures in the category are cannon fodder for women on a rant, the truth is that the standards governing beauty claims are pretty darn severe. There’s a long list of watchdogs who try to keep brands honest: corporate internal R&D and legal, governmental agencies, the TV network’s standards folks, their competitors who leap on a dime….and the women who decide to buy or not. I’d like to believe that most of these groups are motivated to do right rather than wrong. And brand managers and their ad agencies have to play the roles of both creative and cop to avoid making the kind of mistake that these ads just made. The ads with Julia and Christy were what might be called lies of omission. They left out the lines and wrinkles for sure. But worse, they left out the truth of why those two icons are so aspirational for so many women. They are both women with real years of growth, as mothers, as daughters, as businesswomen, as philanthropists, as women whose authenticity is what gives them appeal (though I still wish Julia hadn’t snagged her husband from someone else.) They weren’t as beautiful with experience so totally erased. Whole truth indeed. To read more about women’s expectations and advertisers’ master plans, check out the full article on CNN Living. To read more about the newest tricks of the cosmetics industry, check out our take on Sephora’s newest service. How many pairs of shoes do you have? My husband has about 25 and I have about 60, but according to today’s New York Post, Beth Shak has 1,200 pairs. And not just any shoes. We’re talking Jimmy Choo, Walter Steiger, Manolo Blahnik and 700 pairs of Christian Louboutins valued at $500,000. She’s a poker pro who spends every dime of her winnings on her feet. Her story will appear in an upcoming documentary called “God Save Her Shoes”—which also features Fergie of the Black Eyed Peas, Destiny’s Child Kelly Rowland, and every famous shoe designer on earth and… me! The film, which takes a cheeky and fascinating look at women’s shoe obsessions, will debut in September in Paris during Fashion Week. Director Julie Benasra asked me to weigh in on the psychology of why women feel the way they do about their shoes. At one point during the filming in my office, I noted that you can tell a lot about a woman by the shoes she keeps under her desk. “What do you mean?” I ducked underneath and surprised even myself when I pulled up six pairs, each serving a purpose, from fast city walking to just strutting my stuff. Armchair psychology? Not when it comes to shoes. Like every other woman, I walk the talk. Catch the trailer below and watch for the US premiere! Often women will hold back from telling their whole truth opinions in fear of losing approval from their co-workers, or in an effort to protect their own ego. In a work environment differing opinions and thoughts are often the driving force behind those “ah-ha” moments that in turn lead to some of the most innovative ideas. So, I have to wonder what will it take for women to voice their differing opinions in the workplace? I was lucky enough to be a part of The View’s audience for their live show yesterday. There is something so refreshing about the female hosts’ honesty that draws me into their morning show, especially when there are controversial hot topics to discuss. The hotter the topics, the hotter the tension. Yesterday the women discussed the on-going Weiner-gate scandal and the rumors, which later that day became fact, surrounding his decision to resign from his position as NY Congressman. The women disagreed and Barbara even became very vocal with her opinion on the matter; however, once everyone stated their opinions they moved on, laughing a minute later regarding their past experiences with shoplifting. There is something inspirational (maybe even empowering) watching these five strong women disagree and the tension rise, only for them laugh and move on moments later. As women, I know we have all been in the situation when we disagree with even our closest friends, but shy away from stating our opinions in fear of losing their approval or hurting our self image. If Elizabeth Hasselbeck can disagree with Barbara Walters, then why can’t I get the courage to tell my friend that I cringe every time she says Jessica Beil is the epitome of beauty? Is work feeling a little like high school lately? We’re not surprised– a new survey by CareerBuilder.com found that over a quarter of the 5,000 respondents had been bullied in the workplace. Chris Wragge of the CBS Early Show discussed this disturbing pattern with Just Ask a Woman Founder and CEO Mary Lou Quinlan. Find out from Mary Lou why women are the more common victims of bullies and whether you should confront a workplace bully HERE.